Casino Technology smooths the way of its products on the Romanian market - Casino Inside - The gambling industry magazine! Being amongst the top three performing brands rated by the biggest Romanian operation networks, Casino Technology is continuing its progressive product development and market positioning which had started with the strategically introduction of the GAMOPOLIS™ series of games. Delivering great customer support and recognized as committed gaming experts the Romanian team of Casino Technology welcomed customers, visitors and partners at the company’s stand at the exhibition Entertainment Arena, 2015 in Bucharest and showcased the recent masterpieces of the innovative gaming collection of the company whereas the leading role deservedly played the newest ARCH™ slot machine. The undoubted 2015 best seller AURORA™ equipped with GAMOPOLIS HIGHWAY™ versions employing a library of more than 250 unique games reaffirmed the great success and growing popularity of the product all over Romania. “The product demand driven by the sustaining performance, impeccable quality level and the exclusive commercial terms has turned AURORA™ into a “must have” slot machine for any competitive slot venue and lots of customers visited the stand at the exhibition with the primarily objective to see how the product would be developed for the future, as well as to benefit from the preferential exhibition discounts for their next orders” – explained Martin Ivanov. “Aurora™ slot machine and the multi-game series GAMOPOLIS™ has a big potential and their market presence would be almost doubled within next few months” – stated Ivanov. Casino Technology’s response to the high market expectation of the brand had been directed by the most talented artists of the company and appeared with a new name at the show – GAMOPOLIS SPEEDWAY™ the multi-game series which is to be released till end of 2015 in successive game versions starting from 70, each featuring 40 unique games empowered by a new system library and improved command reaction resulting into 50% increase both for the game play speed and customer’s entertainment. 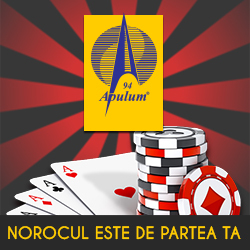 The new regulation framework and increased technical requirements for transparency and control over the gaming market in Romania implied serious dynamics and ongoing business restructuring within all operation networks which are striving to comply with the law with minimal risk and ensure presence of most reliable technological partner for their future business growth. The regulation had opened a new market segment for the gaming systems and Casino Technology showcased its revolutionary system suite THE BIG 5™ combining 5 sophisticated systems RHINO™, BUFFALO™, ELEPHANT™, LEOPARD™ and LION™ fully capable to provide a reliable and compliant solution that can facilitate efficient, real-time controlled and customer-oriented online/offline infrastructure. The Casino Management System RHINO™ combines diverse modules such as Accounting, Monitoring, Cashless, Player Tracking, Jackpots, CRM, Reception, Kiosk, Marketing, Live game offering operators a wide range of tools and options to improve the control on the casino floor and increase the customer acquisition and retention rate while optimizing the management and operational processes. The full integration of RHINO™ Casino Management System with BUFFALO™ Universal Jackpot Server provide operators with the opportunity to design jackpot groups, prizes and marketing programs dedicated to certain player’s profiles, events and products as well as to link all slot machines into a Wide Area Jackpot serving as an ultimate players magnet. “The smart architecture of THE BIG FIVE system suite allows each of the systems to be installed independently but also to run as all-in-one technology environment for linking land-based and online operations under a single casino brand, coupled with high-end technology, customer service, compelling casino content and strong marketing concept behind which gives us a big advantage at the market”– said Martin Ivanov. “We recorded a great interest at the show especially for RHINO™ and BUFFALO™ systems as well as the advanced LEOPARD™ online gaming platform with the integrated ELEPHANT™ remote game server which seem to become the next sales pitch of Casino Technology in the unsaturated system segment in Romania “ – concluded Ivanov.